Final Calendar Post with all info! I’ll bet you are as sick of this as I am, but I think I now have it all sorted for the various versions. So here, in one post, is all you should need to know! 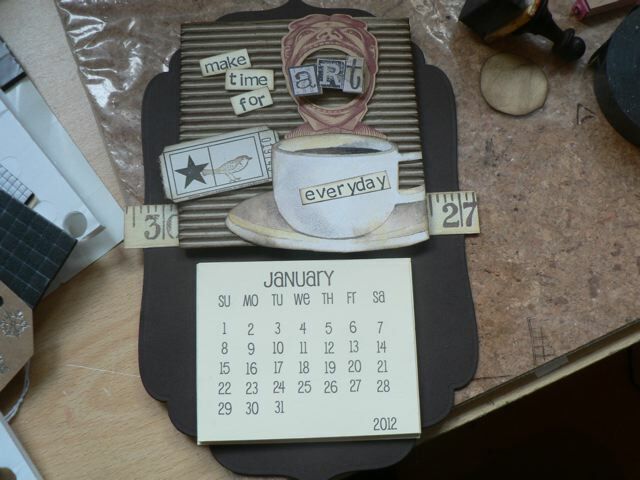 My post on how I created the calendar grids in PSE with the tips and tricks I learned is here. The two-sheet PDFs to download, for copy/pasting and printing: Jan-June and July to Dec, both in this post here. The simple swirl has to be my favourite version, this one on cream cardstock. 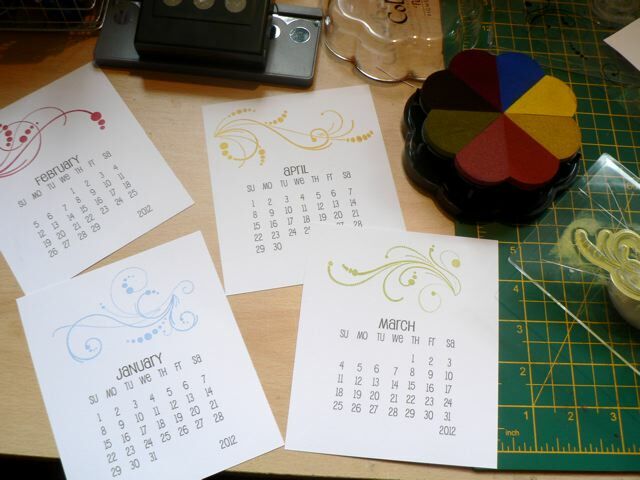 My WOYWW post about creating a tear-off calendar is here. This one is the fridge one, with the tear-off calendar block. Just a little reminder to myself! And here are the three PDFs with faint lines so you can cut all the calendar months to the same size for making the tear-off block! SeptDecJanFeb MarAprilMayJune and JulyAugOctNov 2012. I’m going to do one more, slightly different, and will add it when I am done. This one will be designed to print on either an A4 or US letter sheet then slightly trimmed to the same size, if it works. Now it’s time to move on (Thank goodness! I hear you mutter) to something else crafty. And deepest apologies to the WOYWW crowd, as I was so immersed in this I didn’t make it to a single desk this week (hanging head in shame) but hope to get to some of them, at least, over the weekend. I missed all the inspiration! 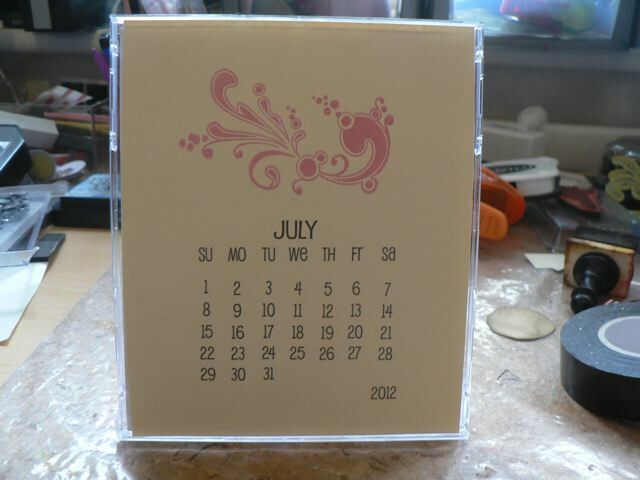 Categories: calendars, digital goodies, downloads, printables | Tags: calendars, printables, scrapbooking, stamps | Permalink.